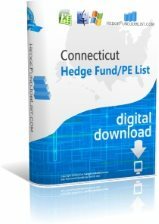 Yankee Advisers is a hedge fund company based in Waltham, MA. Their primary investment strategies are Fund of Funds and Multi Strategy. Yankee Advisers has $22 million in assets under management (AUM). Wells Capital Management is a hedge fund company based in San Francisco, CA. Their primary investment strategies are Multi Strategy, Global Equity, and Absolute Return. Wells Capital Management has $25600 million in assets under management and has 273 employees. Wellington Management Company LLP is a hedge fund company based in Marlborough, MA. Their primary investment strategy is Multi Strategy. Wellington Management Company LLP has $25600 million in assets under management and has 974 employees. The company was founded in 1929.